Other activities : Tutor in planning law; Strathclyde University Postgraduate Diploma in Legal Practice (1995 to 2005).Occasional seminars to Glasgow University MSc course in Real Estate, Planning and Regeneration.Occasional seminars to Glasgow Caledonian University MSc Surveying and Planning course.Occasional seminars to Centre for the Built Environment. Recent seminars to RICS and Idox on the new Scottish Planning system. Conference presentations, most recently the Holyrood “Planning Reform in Scotland 2011” conference on 21st June 2011. John started his career in the Transportation Planning section of the City Council Planning Department, being the planning representative and case officer on rail modernisation projects, major road projects, and on the City Cycleway programme. For four years John prepared development plans for the south-east part of the City and initiating derelict land reclamation and managing urban fringe initiatives. In 1987 he moved to Development Management in the City’s West End and City Centre, dealing with most major new-build housing developments in the west of the city including large-scale new housing neighbourhoods. He then managed development applications in the commercial heart of the City. In addition, John represented the City Council in negotiating major works to listed buildings in this area such as the Central and Queen Street station refurbishments, the High Court refurbishment and extension, the Art Galleries and Museum refurbishment, and a large number of residential and commercial building refurbishment and façade-retention schemes. 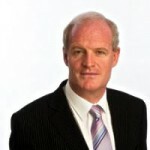 In 1999 John moved to the private sector, as Associate Director with McInally Associates. This was followed in 2006 by his appointment as Director in the Glasgow office of Turley Associates. In November 2011 he left Turley Associates to set up PPD, in order to better serve the needs of clients in a challenging financial environment. John advises a wide range of clients in the housebuilding, city-centre commercial markets, hotels, school and hospital projects industrial and business developments, and in large and small-scale masterplanning.